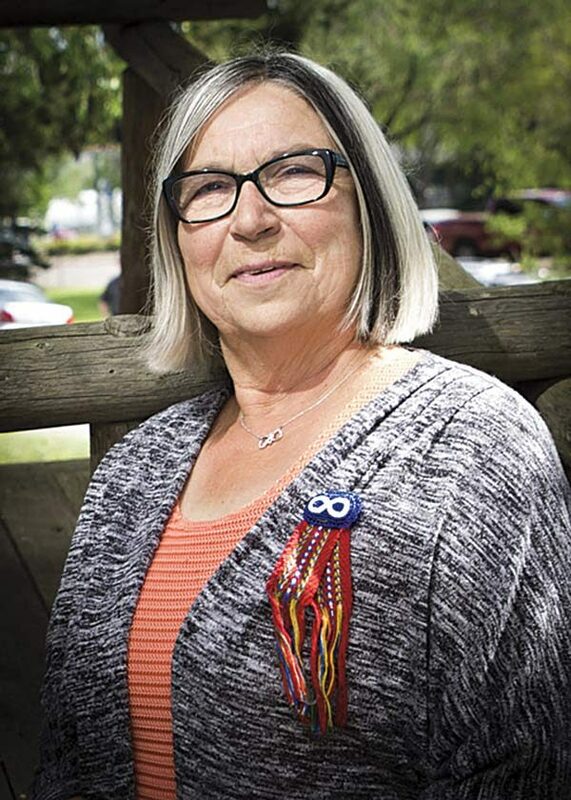 Founded in 1983, the Métis National Council — made up of provincial Governing Members in British Columbia, Alberta, Saskatchewan, Manitoba and Ontario — is the Métis’ national governing body. Soon to be based in Winnipeg, the primary role of the MNC is to build a common sense of Métis identity among its constituents, to pursue the Métis’ inherent Indigenous rights through the court, and to establish and maintain a nation-to-nation relationship with Canada. In court cases such as Powley (2003), the Manitoba Metis Federation (2013) and Daniels (2013, 2016), the MNC has been an intervener and has advanced a coherent Métis rights agenda. Audrey Poitras, President of the Métis Nation of Alberta. The original Métis provincial governing members came from the three Prairie provinces, but by the 1990s, British Columbia and Ontario were added to the fold. The MNC’s constituent members are the Métis Nation British Columbia, Métis Nation of Alberta, Métis Nation — Saskatchewan, Manitoba Metis Federation and Métis Nation of Ontario. Together, the MNC and the provincial Métis councils represent more than an estimated 400,000 Métis living in the Métis Nation Homeland. Each of the five Governing Members provides Métis citizens in the five provinces with a measure of self-government, as well as cultural programming and educational, social, employment and skills training. As an example, the Métis Nation–Saskatchewan governing structure consists of regions, areas and locals. Locals are the most direct form of Métis government and include Métis citizens from the same community in their membership. Each provincial governing body consists of elected regional directors who, along with the president, vice-president, secretary and treasurer, form the provincial Métis council. Each of these elected officials holds one or several portfolios, such as education, housing or harvesting/hunting rights within the various provincial Métis councils. The governing councils serve as an executive branch of government and are most directly involved in the day-to-day governing. Since 2004, the Métis Governing Members have moved towards a central registration of Métis citizens for the purposes of asserting the Métis’ Indigenous rights via Section 35 of the Constitution Act, 1982. To vote in a Governing Member election, a person must be registered as a Métis citizen and have a citizenship card. Elections are held and monitored by various Métis electoral commissions. Citizens with a Métis card within each province can vote for their choice of president, vice-president, secretary, treasurer and regional director. 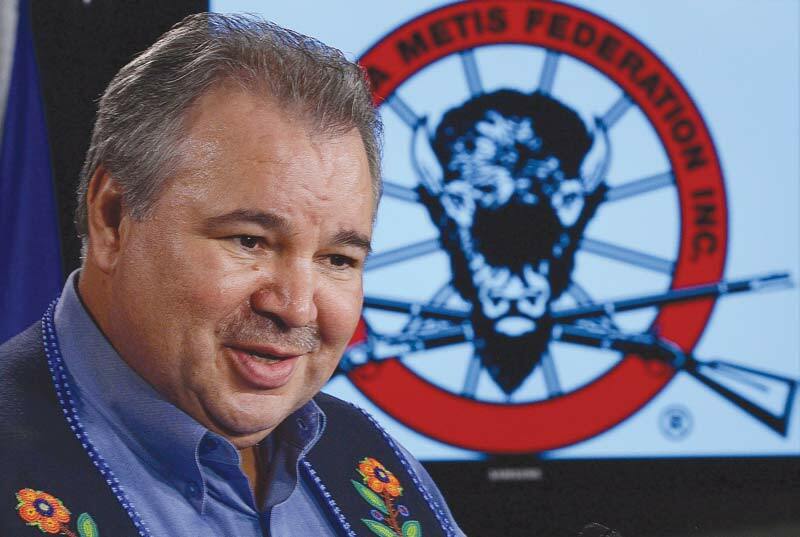 David Chartrand, President of the Manitoba Metis Federation. Since 2004, the Métis Governing Members have moved towards a central registration of Métis citizens for the purposes of asserting the Métis’ Indigenous rights via Section 35 of the Constitution Act, 1982. The Métis’ Indigenous rights have been recognized by the 2003 Powley ruling, which indicated that the Métis have Indigenous harvesting rights. These rights were further validated by the Daniels ruling (2016), which indicated that the Métis are “Indians” for the purposes of Section 91 (24) of the Constitution Act, 1867. 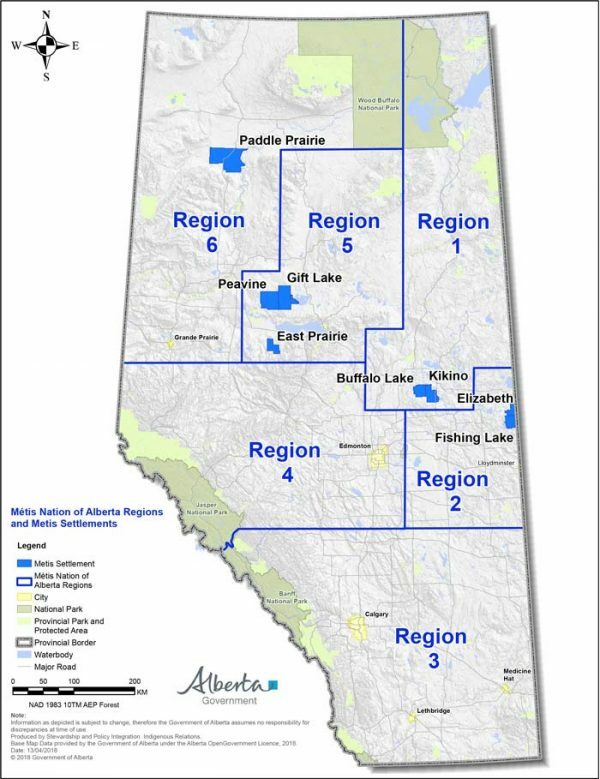 Government of Alberta map showing Métis Nation of Alberta regional zones. Constitutions and bylaws are in place both on the national and provincial levels for Métis governing councils. One important component of Métis governance at the national and provincial levels is the holding of annual assemblies of the membership, which function as legislative assemblies whereby Métis community members propose various policy initiatives and other aspirational goals. These initiatives are vigorously debated and are determined by voting. Following that, the Métis Governing Members work toward implementing these motions. These assemblies are directly descended from the assemblies that the Métis traditionally held during the fall and spring bison hunts when clans, families and hunting bands would meet and discuss the Métis Nation’s governance for the upcoming year. Both the provincial Governing Members and the MNC have a special position called senator, in which Elders serve as advisors to executive members. The senators are appointed to provide advice to the elected officials.